Words by Kevin Doocey on July 7, 2013 . It hardly came as surprising news when we learned that Pierre-Emerick Aubameyang opted to join Jurgen Klopp’s Borussia Dortmund. The lure of Champions League football - a requirement which his representatives set in stone ahead of any potential move - was enough to bring him to Germany. Of course, in fairness, there’s not too many players in Europe that would opt for a move to Tyneside ahead of Borussia, let’s be honest. The real question was whether we actually made any attempt to get the Gabon man. Many will say we didn’t, but it is well publicised in France over the last couple of days that the club did indeed offer big money to try convince the pacy forward to come to St. James’ Park, but as said; Champions League football swayed the deal. Apparently we reportedly offered more money than Dortmund to acquire the live-wire but he wanted a move to Germany to take his place in a very attacking line-up, led by an enthusiastic connoisseur of the beautiful game. I think the point here is that the an approach was made, meaning Graham Carr’s fancies are still getting the go ahead - something which fans doubted would happen with the installment of Joe Kinnear as director of football. The real question is who do we turn to now? If you follow us on Twitter then you might have noticed a tweet from four days ago about the possible move for PSG’s Kevin Gameiro. I suspect that the club are going to up their efforts to sign this guy in the coming days. 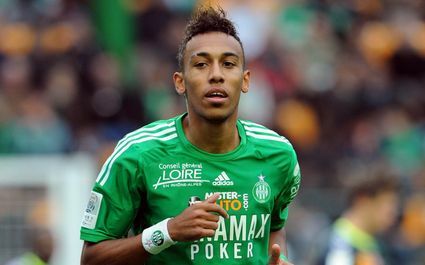 He has not future at the Parisian otufit and is likely to be available for a low fee €5m max I would suspect. The guy can finish, has a bit of pace, and could fit in very well at St. James’ Park amongst the handful (!) of French lads on Tyneside. Do not be surprised if we are strongly linking with a move for him in the coming weeks - I would almost put a little bit of money on it. It is hard to be optimistic during times like this at Newcastle, but I’m quietly confident that we’ll seal a few deals in the coming three weeks that will put us in good stead for the season ahead. We need to make sure we replace Danny, Dan Gosling (on his way out of Newcastle it seems) and of course we need a new striker (KG). What are your thoughts on Darren Bent? Do we splash £5m on him, or €5m on a younger version in Kevin Gameiro?